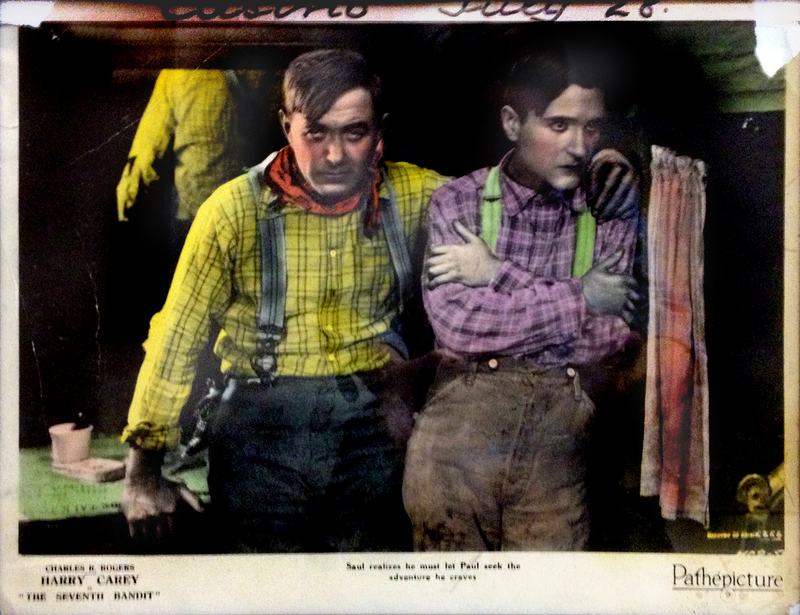 Lobby card for "The Seventh Bandit" (Pathe 1926) starring Harey Carey Sr. (shown at left). We don't have much to say about this film because we can't see it. Like an estimated 82 percent of all silent films, this picture is believed to be lost. It does star Carey at a time when Carey was living in Saugus (where the Tesoro del Valle development would later be built). Also, it's directed by Scott R. Dunlap, who was making movies in Placerita Canyon at this time. 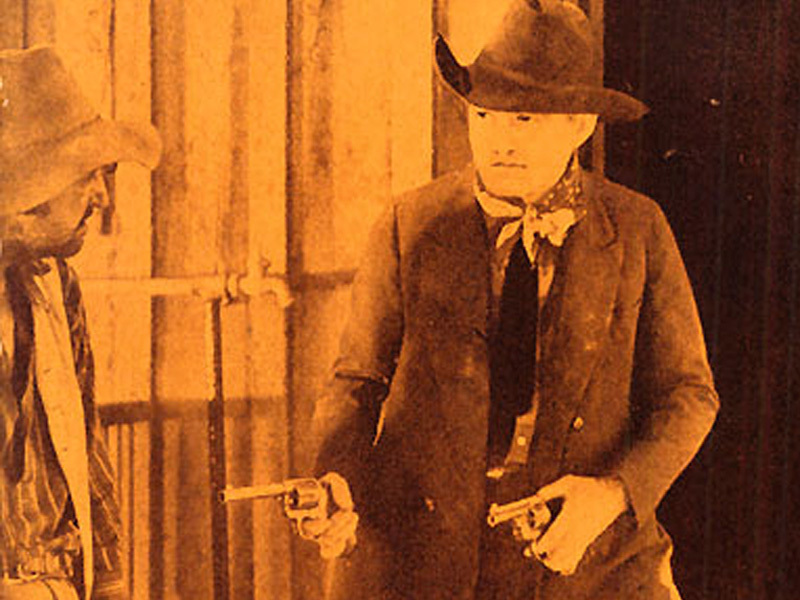 The film was released April 18, 1926, in the United States, and it was called "Le septième bandit" in France. The story, whatever it might be, was written by Arthur Preston Hankins and Richard Schayer. It's produced by Charles R. Rogers for Pathe Exchange (Carey joined Pathe in this year, 1926). The cinematographer (i.e., cameraman) is Sol Polito, and the players include James Morrison, Harriet Hammond, John Webb Dillon, Trilby Clark and Walter James. LW2329: 9600 dpi jpeg from digital image of original lobby card.